Bathhouse Proprietor from TV Whiz Kid. Adam Boland was the whiz kid of network news. The Doogie Howser of his time. He spent a decade working at Channel Seven in Australia. But now it is time for a career change. It was inevitable, as most people will attempt at least three different careers in their lifetime. But this new career takes Adam as far away from the halls of Channel Seven as he could get. 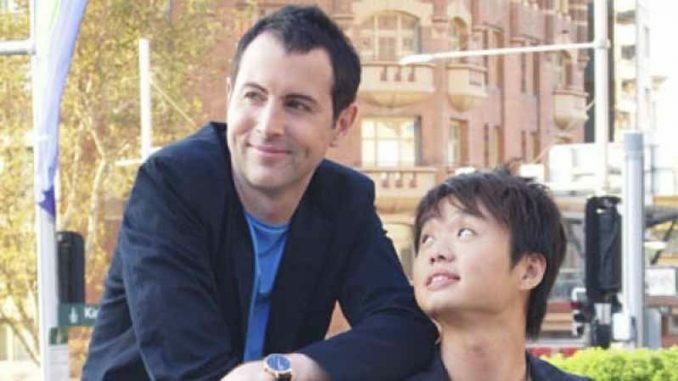 He intends, along with his partner Julian Wong, to open up a Korean bathhouse in Sydney. Adam and Julian spent the Christmas holidays traveling through the orient, visiting many authentic bathhouses. Seeing an opportunity, they scooped up the rights to the in Kings Cross, which went into receivership in 2008. They hope to open up this new venture midyear. Seems like an exciting new venture for both of them! Go to TV whiz-kid decides it’s time for a Korea change to read more.